Margaret Atwood is the author of more than fifty books of fiction, poetry, and critical essays. Her latest book of short stories is Stone Mattress: Nine Tales (2014). Her most recent novel, The Heart Goes Last, was published in September 2015. Other recent works include the MaddAddam trilogy – the Giller and Booker prize-nominated Oryx and Crake (2003), The Year of the Flood (2009), and MaddAddam (2013). The Door is her latest volume of poetry (2007). Her most recent non-fiction books are Payback: Debt and the Shadow Side of Wealth (2008) and In Other Worlds: SF and the Human Imagination (2011). Her novels include The Blind Assassin, winner of the Booker Prize; Alias Grace, winner of the Giller Prize in Canada and the Premio Montello in Italy; and The Robber Bride, Cat’s Eye, The Handmaid’s Tale – now a critically acclaimed television series – and The Penelopiad. In 2016, Hag-Seed, a novel visitation of Shakespeare’s play The Tempest and Angel Catbird – a graphic novel with co-creator Johnnie Christmas (Dark Horse), were published. In 2017, Margaret was awarded with the Peace Prize, the Franz Kafka International Literary Prize and the PEN Center USA Lifetime Achievement Award. 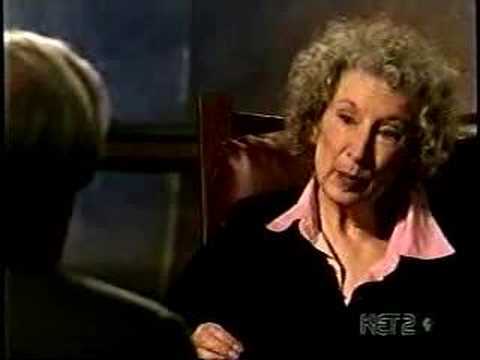 Margaret Atwood lives in Toronto with writer Graeme Gibson. The Handmaid's Tale is both a superlative exercise in science fiction and a profoundly felt moral story.